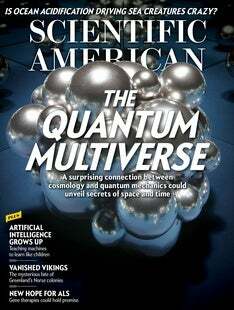 Can Quantum Mechanics Save the Cosmic Multiverse? Many cosmologists now accept the extraordinary idea that what seems to be the entire universe may actually be only a tiny part of a much larger structure called the multiverse. In this picture, multiple universes exist, and the rules we once assumed were basic laws of nature take different forms in each; for example, the types and properties of elementary particles may differ from one universe to another. The multiverse idea emerges from a theory that suggests the very early cosmos expanded exponentially. During this period of “inflation,” some regions would have halted their rapid expansion sooner than others, forming what are called bubble universes, much like bubbles in boiling water. Our universe would be just one of these bubbles, and beyond it would lie infinitely more.